Apologies as I am getting way behind myself these days. Too much work and compartmentalising things means the minimum effective effort to make something work without betraying them which includes the blog. In any case the new show has been up nearly a week already and is available here on Scanner FM. 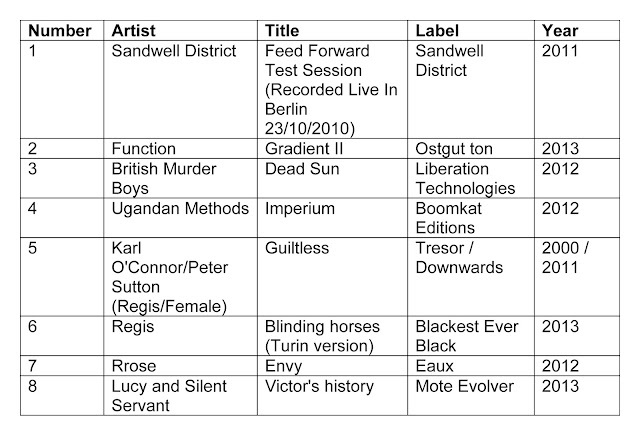 Two things I forgot to mention were that they had revealed that Sandwell District would release a Fabric mix before I did the show, but the news was not official until this week. Fabric 69 will be mixed by Function and Regis essentially. 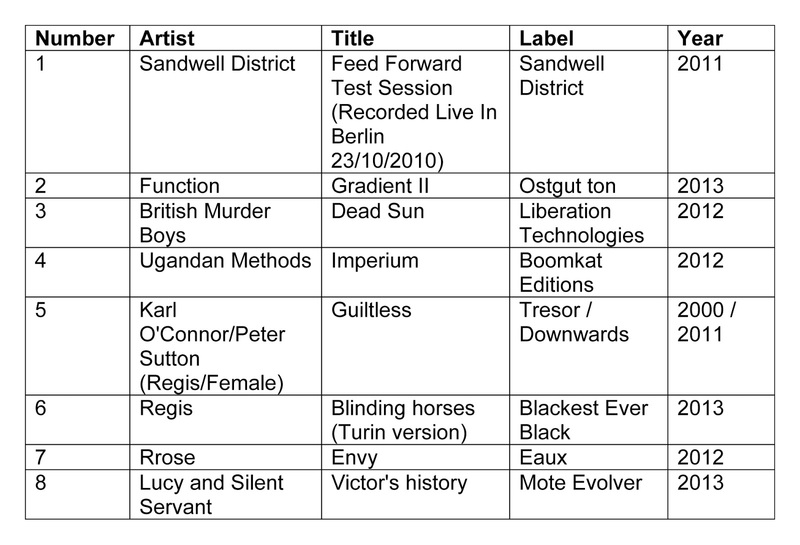 I had imagined an all-label mix much like Silent Servant’s mix that is floating around on Discogs as a limited CD. I also forgot to mention that Âme also had an EP out called “Rrose Sélavy” with a title track of the same name from 2010. Not the first time either, but looking forward to more from Rrose in the future.